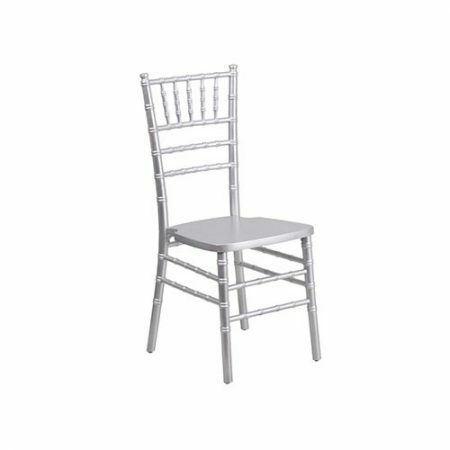 Ideal for formal events such as evening galas, formal weddings, and fundraisers, Chiavari chairs always work well. This beautiful chair will elevate your indoor or outdoor event without the need for chair covers or bows. There are many color options to choose from: black, white, silver, gold, fruitwood, bamboo, mahogany, and natural. Chiavari chairs are available with white, ivory, or black fabric cushions.